Banks must ensure their own equity capital and capital adequacy ratio as specified in Circular 41/2016/TT-NHNN by 2020. This rule requires banks to ensure a minimum capital adequacy ratio (CAR) of 8% according to new standards, forcing all banks to change their computing method to comply with the new regulations. This leads small banks, which are financially incapable, to think about mergers for stronger for development. Therefore, according to many experts, bank M&As from 2019 will be more active than some years ago. In the past years, the banking system has witnessed some bank mergers with positive outcomes. 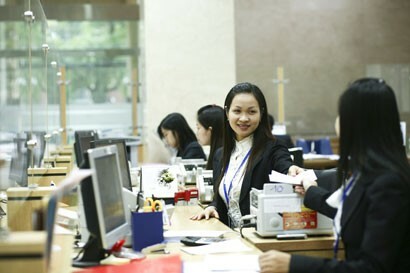 The typical M&A deal was between Hanoi Building Commercial Joint Stock Bank (Habubank) and Saigon Hanoi Commercial Joint Stock Bank (SHB) at the end of 2011. At the time of merger, Habubank’s bad debt was VND3,729 billion, accounting for 23.66% of its total outstanding loans. After the combination, SHB’s bad debt was 8.69%. By the end of the third quarter of 2018, its bad debt ratio fell to just 2.297%. 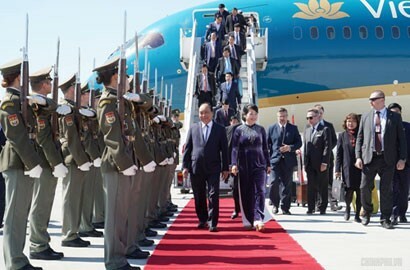 In 2012, given their cross-ownership, Saigon Thuong Tin Commercial Joint Stock Bank (Sacombank) and Vietnam Export Import Commercial Joint Stock Bank (Eximbank) signed a comprehensive strategic agreement. Later, Southern Bank was amalgamated into Sacombank. Then, Eximbank sold all its 8% stake at Sacombank. After admitting Southern Bank, Sacombank had to bear huge debts. In the first six months of 2018, Sacombank managed to take back VND3.6 trillion of bad debt. The lender’s bad debt ratio was 4.28% at the end of 2017 and less than 3% at the end of 2018. 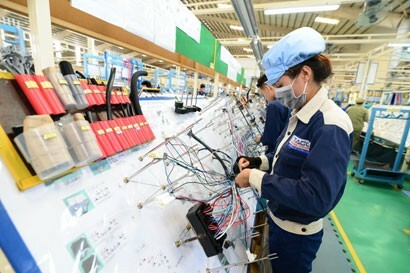 Consolidated profit before tax reached more than VND2.2 trillion in 2018, 20% higher than the plan assigned by the General Meeting of Shareholders. According to its year-end report, the bank’s assets were estimated at VND407 trillion in 2018, an increase of 11% over 2017. 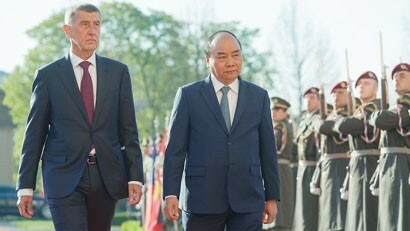 Another notable deal was the amalgamation of Great Asia Commercial Joint Stock Bank (DaiABank) into Ho Chi Minh City Development Joint Stock Commercial Bank (HDBank) and the takeover of SGVF Financial Company by Société Générale Bank (France), a joint venture with Japanese partners to form HD Saison today. After the merger, HDBank quickly caught up and fostered its business operations. 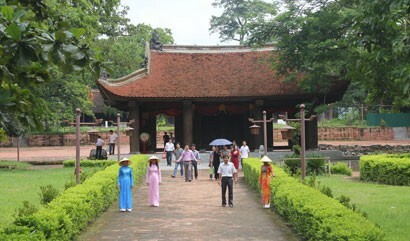 With the initial registered capital of VND5 billion, HDBank's registered capital already exceeded VND9.8 trillion. In 2018, HDBank recorded a highest-ever profit before tax of VND4,005 billion, 65.7% higher than 2017. At December 31, 2018, HDBank's total assets reached VND216,108 billion, an increase of 14.1% over 2017. The owner’s equity rose 14% to VND16,828 billion, ready for Basel II standards when approved by the State Bank. After admitting Housing Bank Of Mekong Delta (MHB) at the end of 2015, Joint Stock Commercial Bank for Investment and Development of Vietnam (BIDV) increased its registered capital from VND28,112 to VND31,481 billion and its total assets from VND655 trillion to VND695 trillion. In 2018, its total assets exceeded VND1,283 trillion (US$56 billion), retaining its position as the largest commercial bank in Vietnam, and its consolidated pre-tax profit amounted at over VND9,625 billion. Especially, in 2018, BIDV was remarkably successful in dealing with bad debts in the spirit of Resolution 42 of the National Assembly and satisfactorily issued VND4,586 billion worth of bonds to raise capital to boost its financial capacity. Complying with Basel II safety standards will surely reshuffle the banking system. Small banks which fail to meet statutory requirements must take merger plans into consideration. However, bank mergers must be performed with a specific roadmap, placed in a right context and particularly classified “quality”. According to experts, to improve the merger quality, the replacement of old owners with new ones in each joint stock bank via amalgamation must be conducted with care, imposed sustained supervision of competent authorities. At the same time, it is necessary to value the assets of the merged bank in a transparent and public manner. There is also a need for a State capital management mechanism similar to that imposed on State-owned banks. More upcoming transfers may be seen in some consumer financers, card managers and financial service firms because these potential segments still strongly attract investors in the future. If bank M&A deals are strictly implemented and controlled, a stronger banking system will take shape. This also comes in line with the State Bank of Vietnam’s advocacy for reducing banks and empowering some local lenders to enhance their competitiveness on global and regional arena.